If you bought the Terence Crawford vs. Amir Khan fight on Saturday night, chances are you're not happy. 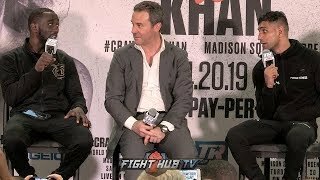 Crawford won via 6th-round TKO, but it came after Khan was hit with a low blow and apparently told his trainer Virgil Hunter that he couldn't continue. 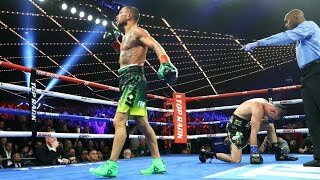 The Madison Square Garden crowd booed the ending vociferously, but because the foul was ruled accidental, Crawford wasn't disqualified and he was awarded the TKO win and successfully defended his WBO Welterweight title. Prior to the low blow, Crawford was in full control of the bout. 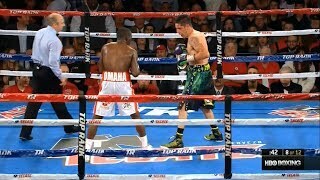 He dropped Khan with a counter right hand in the first round and outboxed him throughout the fight. 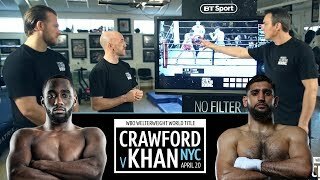 Khan rebounded with a solid second round, but Crawford was dominating and touching him to the head and body consistently. The champion's advantages are evidenced by the official scorecards and Compubox numbers. 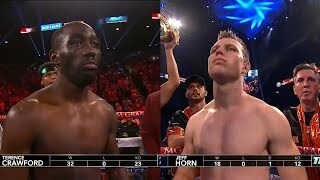 This video examines Terrence Crawford Vs Amir Khan Fight Review (Round 6). QFTD: Do you think Amir quit on purpose? 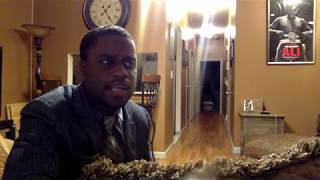 Leave your comments for me in the comments section of this video. And remember to Like, Share, an SUBSCRIBE! ***DISCLAIMER--- If you sign up with the link above, I make a small commission. I use this service. **Copyright Disclaimer Under Section 107 of the Copyright Act 1976, allowance is made for "fair use" for purposes such as criticism, comment, news reporting, teaching, scholarship, and research. Fair use is a use permitted by copyright statute that might otherwise be infringing. Non-profit, educational or personal use tips the balance in favor of fair use. 5 Times Amir Khan Went Into Savage Mode!! !